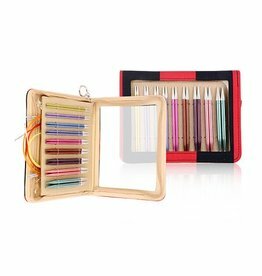 The Knitter's Pride Zing 6" Double Pointed Needle Set includes 30 Zing DPNs in 6 sizes with 5 needles in each size. Needle sizes include US 0, 1, 1.5, 2, 2.5, and 3. This set of DPNs was specifically designed for smaller projects such as socks. 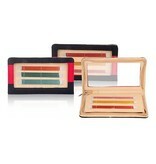 Zings are made from lightweight metal in vibrant metallic colors specific to the needle size. 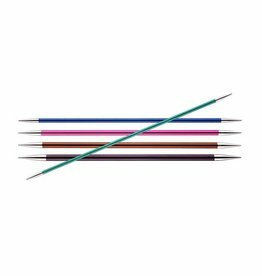 The tips of these needles are sharp and gradually tapered making them ideal for all types of projects.